UNITED STATES: The US saw 7GW of wind projects installed in 2017 representing $11 billion in new investment. According to the American Wind Energy Association's (AWEA) fourth quarter market report, the total installed capacity in the US is more than 89GW. Just over 4GW (4,125MW) was installed in the fourth quarter. The total 2017 installations were a little lower than in 2015 and 2016. There was a pipeline of wind farms under construction or in advanced development at the end of 2017 of almost 29GW, a 34% increase compared with a year earlier. Developers are rushing to lock in eligibility for 100% or 80% of the Production Tax Credit, which is being phased out. The trends of corporations buying wind power continued in 2017. 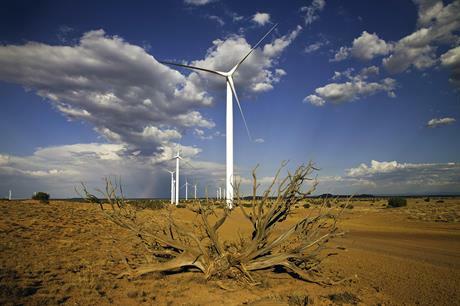 Companies such as Google, Facebook and General Motors became return wind-power customers. Indeed Google signed four power purchase agreements (PPAs) for wind in the fourth quarter alone. "Non-utility customers have become a large and steady source of demand for wind power", said AWEA. Approximately 710MW of PPAs were signed in the fourth quarter.